Villa Piedra Barbati is a lovely property in an amazing, desirable location, only 25 metres from the sea. The villa is delightful, situated next door to the popular beach bar, Piedra Del Mar. Villa Piedra Barbati is a lovely property in an amazing, desirable location, only 25 metres from the sea. The villa is delightful, situated next door to the popular beach bar, Piedra Del Mar. 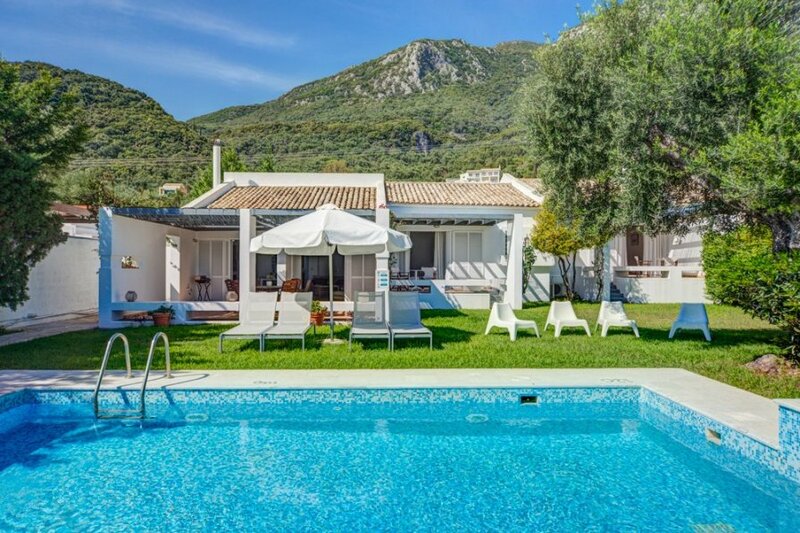 This is the ideal property for anyone wishing for a peaceful and truly relaxing holiday away in Corfu. The villa is spacious and stylish with modern furnishings throughout, creating a relaxing ambience and truly enjoyable atmosphere. There is a laid-back feel to the villa so you can truly make yourself at home and relax from the moment you walk in the front door. As you enter the house, there is a full kitchen, ideal for cooking up some summer feasts, if you can resist the temptation to pop out to one of local restaurants. There is a modern open plan living and dining area featuring large glass doors onto the terrace, making this the ideal space for inside-out living, perfect for socialising. There is one good sized double bedroom, and two twin bedrooms all with cosy atmospheres great for a good night's sleep. There are also two family bathrooms. If alfresco dining is your thing, there is a terrace for your use, or else the property is only a short walking distance from the closest restaurant, so you can practice your Greek whilst enjoying a delicious meze and fresh fish as well as a few chilled glasses of wine without having to worry about driving! With a laid back beach bar next door, this is the perfect location for anyone wanting to relax and have easy options of private pool, sea, fresh lunches, chilled glasses of wine, what more does one need for the perfect holiday! It may be hard to resist spending all your days relaxing by the private swimming pool, however there are also plenty of opportunities to get out and about, whether you'd like to spend a day at the beach, try your hand at golf or find a local market, Villa Piedra Barbati offers something for everyone. The villa is all about beach, beach, beach, it is in a fabulous location only 50m from the sea. The villa is right next door to a trendy beach bar and there are restaurants within walking distance. Barbati village has one of the most beautiful beaches on the island. This is a great location, particularly for young people.